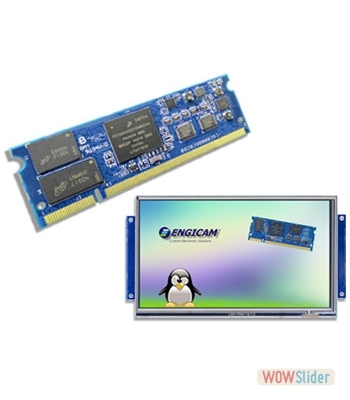 SoM CPU modules for commerical, industrial, and consumer markets, with supporting ecosystem of carrier boards and open frames. 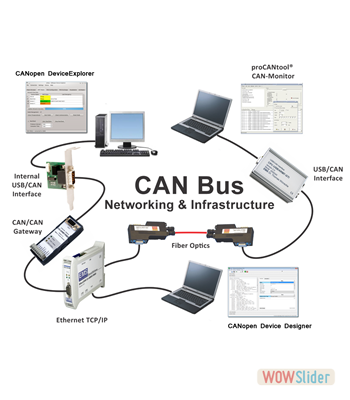 Extensive range of CAN Bus networking resources, including PC interfaces & adapters, repeaters, I/O devices, gateways, routers, and fiber optics, and supporting software solutions. 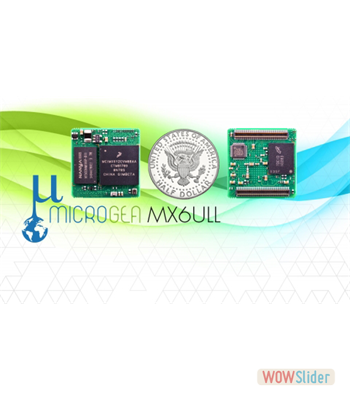 Embedded DSP modules for commercial and industrial use, employing single and multi-core TI DSP processors. Extensive peripheral and I/O capabilities. 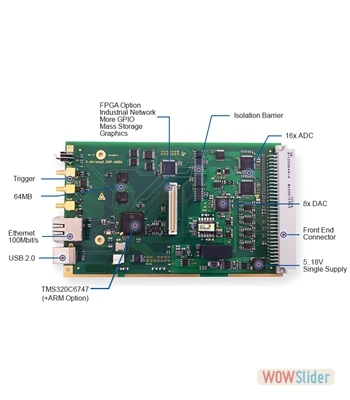 Optional Xilinx FPGA support. Ethernet daughter cards for TI DSP Development Kits. TCP/IP software stack specifically optimized for DSP Systems. 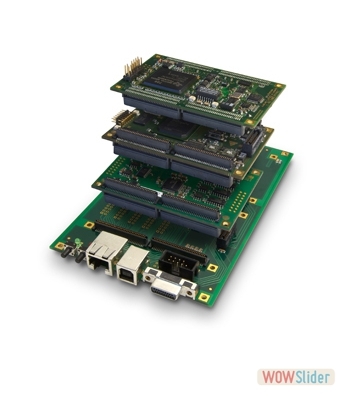 Versatile Data Acquisition & Processing boards, optimized for high channel count applications. Programmable TMS320C6713 or TMS320C641x DSP, Xilinx FPGA, with support for 1394a FireWire.